When it comes to storytelling, you would agree with me that everybody enjoys it. Though there is no better way to get hooked to a lengthy story other than getting it from a narrator. Come to think of it, how many people can sit for a whole day to read a book? Not so many. However, there is a better way to grab all the stories without getting exhausted. 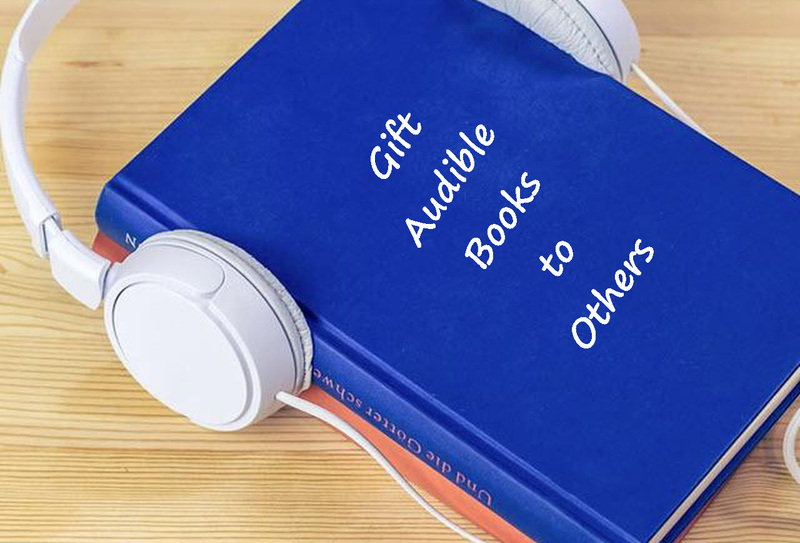 Send an audible book as a gift is the trending phenomenon, especially to friends and family who love to read but don't have that time. 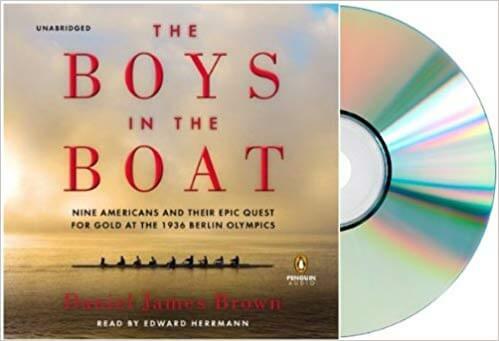 Besides getting so many titles, there is the comfort of listening to the audiobooks on your computer, tablet or smartphone. 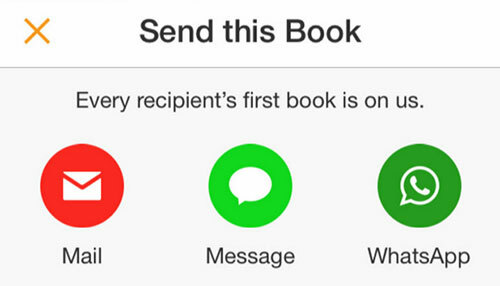 'Send this Book' is an Audible feature that allows you to gift your loved ones from the books in your library. It is actually free for any sender. Just follow these steps to send an audible audiobook to that special friend. This feature will let you send and share books on Audible very easily in a clearly outlined way. Step 1. Log in to your account using your username and password. Next, click on the 'My Library' tab. This should populate the books which are in your library. Step 2. Then find the audiobook that you want to send to your loved one. Click on the three dots that are at the far right corner of your screen for you to see the various available options. Click on the 'Give as a gift' option. Step 3. Next, choose the format which you want to use to send your gift. You can send via email, WhatsApp, Message and many other options. Fill in the blank spaces that have been provided to ensure that the audible gift card goes to the correct person. Step 4. Review the details of the recipient then choose the form via which you want to pay for your gift. Step 5. The last step is to confirm your purchase by clicking the 'Confirm Purchase' button. You should be notified by an email whether you purchase was successful. This is another way to gift audible books to your friends or family. Compact disks are known to be very flexible in terms of keeping data. In fact, they can stay for longer periods as compared to keeping data in your Audible account. Step 1. To gift your loved one an Audible audiobook CD, go to your account and sign in. Step 2. Next, it's time to place an order of the audiobook CD that you want to give out as a gift. Step 3. You'll be provided with a blank space to key in the details of the recipient, i.e the address and name. Step 4. Then click on the 'Give as a gift' button to accomplish the gifting procedure. You should also receive an email indicating that your gift has been sent. Our third option is to make use of the resources you already have. This may sound very easy but wait until you know what you got to do to turn that Audible gifts a book into a usable format. What happens is that audible audiobooks are DRM protected. They are usually in AA or AAX format with DRM protector. You, therefore, need a third-party tool to convert this format and render the audiobooks into a readable format that can be played in any other device. 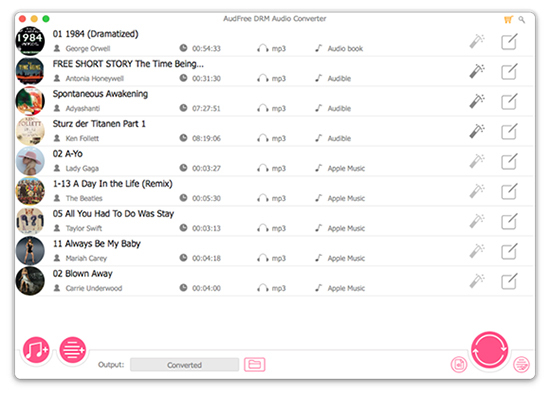 AudFree DRM Audio Converter is one of the recommended tools that you can use to remove DRM from Audible books. Follow these steps to convert your audible audiobooks to common audio files that you can then gift your friends and family. Step 1.Install AudFree DRM Audio Converter. Install the program and launch it in your device. Add the audio files that need to be converted. Step 2. Format setting. Adjust the output format together with the parameters of your files before conversion. You can choose MP3, MP4, WAV, AAC or any other format that is suitable and then click on 'OK' for confirmation. Step 3. Preview. You'll be directed to the conversion window to preview all the files that you've initiated. You can also split your files at this point. Step 4. Locate converted files. Your converted files will be saved at the 'history' folder. Click on the folder to view them as save to your desired device. Another best option is to send an audible gift card to your loved ones so that they do the purchase of audiobooks from their Audible account by themselves. Step 1. Log in to your Audible account by typing in your login details. From the screen window, scroll to the 'gift center' button and click on it. Step 2. Once you are redirected to the next window, chose one option from the available credits. These are 1, 3, 6 or 12 additional credit for the corresponding months. Step 3. Choose the option that you wish to audible gift a book to your friends or family so that they can buy any audible audiobook of their choice. There is more than meets the eye when it comes to an audible gift card or gift a book. Being easy to listen to whenever and wherever you are without losing your spot, Audible will also automatically sync between devices. You, however, need to convert the files to a readable format using third-party software, such as AudFree DRM Audio Converter. Furthermore, when you send an audible book as a gift to your loved ones, they get more add ups on top of the entertainment. Besides, enjoying exclusive discounts, they also get additional unlimited access to other Audible channels for greater returns.